If you’re wondering whether “Is a Tonneau Cover Right for My Truck?” you’re not alone! Tonneau covers are popular accessories for pickup truck owners for several reasons. First, they help secure items in your truck bed from rain, dirt and snow. Next, they offer added security to your cargo. They can also improve your fuel efficiency, especially during highway travel. Last, they give your pickup a more sleek, cool appearance. Tonneau covers are available in a variety of styles, from roll-up covers, retractable covers and hard tonneau covers. You can learn more about each type in a previous blog post. We’ve also previously explored the maintenance requirements of truck covers. Today, we’re reviewing the benefits and disadvantages to tonneau covers, as well as additional considerations before making the investment. 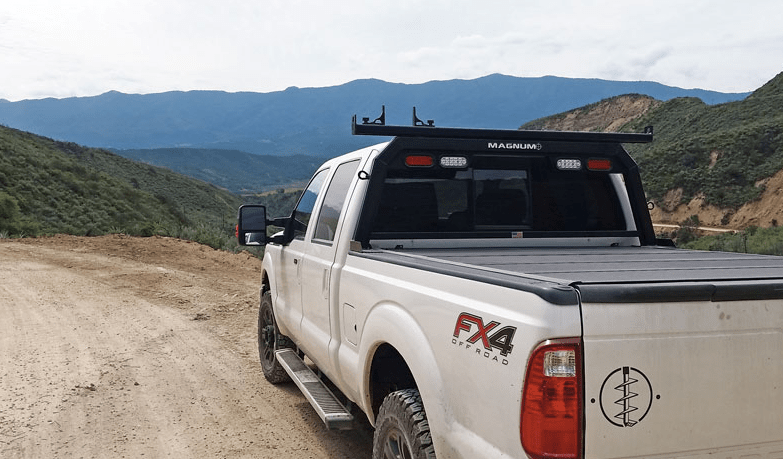 There are several benefits of installing a tonneau cover on your truck. The main purpose of a truck cover is to protect cargo in the bed of your pickup truck from environmental elements and theft. Because they come in a variety of materials and styles, it’s important to do your research before buying one. Truck covers shouldn’t be a pain to deal with when they’re not being used, and the good news is that they don’t have to be. If you choose a retractable cover, they can easily be rolled up into the cylinder storage canister that attaches to the front portion of your truck bed. From there, it simply rolls out again over the truck bed when you need it. If you’re looking for more storage space from your truck, a tonneau cover is a great option to help provide this for you. Opt for a hard tonneau cover to ensure you can lock up your items when you’re not in your truck. Cloth covers may be less expensive but they can easily be cut or removed by thieves. If price is your biggest concern when buying a new truck cover, consider a soft cover or a retractable tonneau cover. These are the lesser expensive options in comparison to a hard tonneau. Generally, truck covers range in price from $200- $1,500+. If you’re concerned about the installation process, a soft truck cover may be your best bet. Soft covers require zero drilling to your truck and are very easy to remove. Some retractable covers offer the durability of a harder shell without the permanent damage to your truck during installation, as well. Choose a cover that requires clamps during installation vs. drilling, according to Bed Of a Truck. There may be certain truck accessories that do not work well with tonneau covers. It’s important to contact the truck accessory manufacturer before installing your truck cover to see if this is the case. For example, truck racks and bed rails may pose issues when installing a tonneau cover. 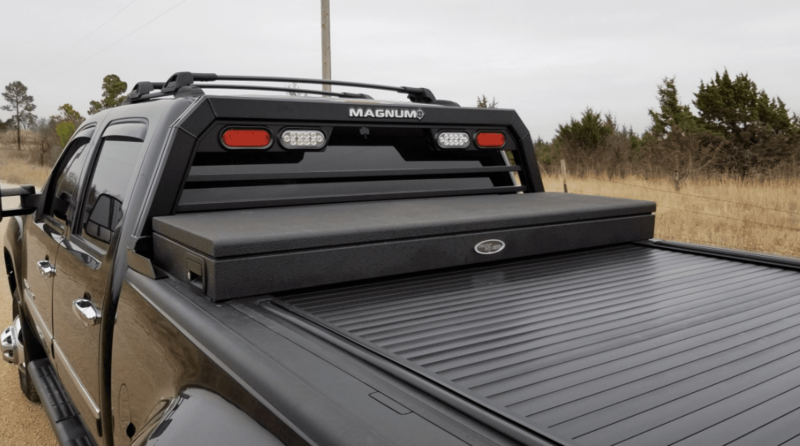 Magnum truck racks work with most tonneau covers. How often do I store tools or materials in my truck bed? Do I typically keep expensive items in my truck bed that would require me to lock them up when the truck is unattended? Do I live somewhere where rain, sleet, heavy snow or excessive dirt are an issue? Am I prepared to do the proper maintenance to maintain my new truck cover? How do I prefer to store my tonneau cover when it’s not being used? Am I sure my other truck accessories will work well with the truck cover? What’s my budget for a tonneau cover?